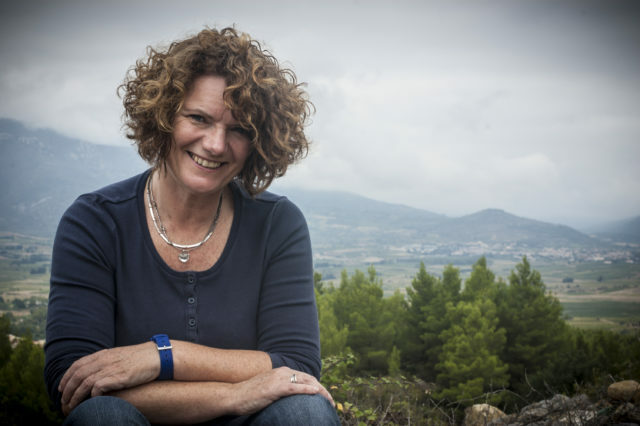 Winemaker and owner of Domaine Jones in the south of France, Katie Jones, praises London’s St John restaurant for the Languedoc-Roussillon focus on its wine list an reveals how she likes to pop into Cut at 45 Park Lane for a glass of Champagne. 1. What is your favourite restaurant in London? It has to be St John’s – amazing food and convivial atmosphere. I love what Fergus and team have done there. They have a great French wine list with a real focus on the Languedoc-Roussillon. I love places like The Sampler and Vagabond wines where you have the opportunity to try many different wines in one go – we just don’t have these places in my remote village of Tuchan high up in the mountains on the Languedoc-Roussillon borders. The first glass of wine would definitely be a glass of sparkling! St John’s list has a wonderful sparkling Limoux by the glass, but if I have time and really want to treat myself, I’ll pop into Cut at 45 Park Lane for a glass of Champagne. Decadent but a special treat! Mark-ups are generally much larger in London and it’s easy to see why with huge rents and massive operating costs. But increasingly there are more places applying lower margins to encourage their customers to experiment more and trade up. London wine lists offer much variety…more than so many European countries. That said they are increasingly offering smaller more focused wine lists that change frequently – keeping it fresh and interesting but less daunting for customers. I also note an increased choice of by-the-glass wines, although this is a trend in European countries too. Sommeliers in London are so well informed, knowledgeable and enthusiastic. There are lots of exciting wine developments happening in other European cities I visit – but I do think London is still ahead of the game. *Last year, Cut at 45 Park Lane was placed 76th in Wine List Confidential’s top 100 restaurants in London for wine.